This is a story about the importance of being a patient’s advocate. It’s also a story about patients advocating for their own health when others won’t, or do not. I mentioned this notion in my previous blog, but it’s an important matter for patients and doctors to consider in this era of healthcare accountability. Patients certainly do know their bodies best. And, when something is just not right, even when a physician says there is nothing wrong, a patient must go with their gut until they feel the issue is truly resolved. That’s what one of my patients did recently and it paid off for her health. A 45-year old female presented with abnormally heavy menstrual bleeding. The bleeding was so heavy, it interfered with daily life and also led to anemia. The patient also had a history of Crohn’s disease. After seeing her gynecologist on several occasions about this growing problem, she was given an ultrasound. The ultrasound showed uterine fibroids, but the patient knew there was something more. 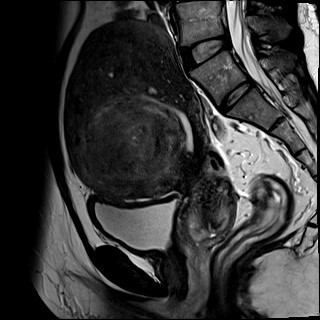 So, she asked her GYN for a referral for a pelvic MRI. Surprisingly, her GYN would not give her the referral, stating that the ultrasound showed the problem and was enough. Yet, this woman knew that there was more to the story. She knew an ultrasound was not enough for her. She called me directly to ask for my input. As an aside, this patient knew me and trusted me as her brother was a patient of mine several years prior. He credited me with saving his life, in fact. He presented with bleeding and a gastroenterologist missed his diagnosis. As a patient with inflammatory bowel disease, I knew, and he knew, that something was seriously wrong, and after I performed his imaging studies and sent him to another doctor, he was diagnosed with ulcerative colitis. He subsequently went on to have a colectomy. This woman, the man’s sister, would only trust me to help advocate for her health. Adenomyosis. This condition is an enlargement of the junctional zone where the inner lining of the uterus (endometrium) protrudes through the muscle wall. Symptoms include heavy menstrual bleeding and even infertility. In this case, the heavy bleeding and the patient’s anemia was a true tip-off to this condition. 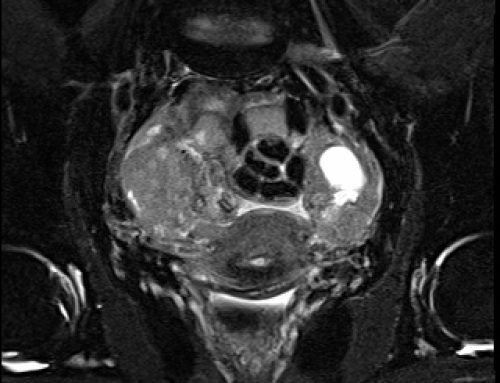 Adenomyosis can only be seen on MRI. Uterine fibroids. Submucosal fibroids in the endometrium can cause heavy bleeding. While they can be found with ultrasound, the extent of their presence is difficult to see without the clarity of an MRI. 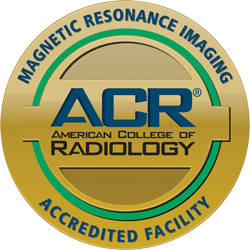 After much back and forth with her gynecologist, the patient was finally able to obtain a referral for an MRI to dive deeper than the ultrasound could. 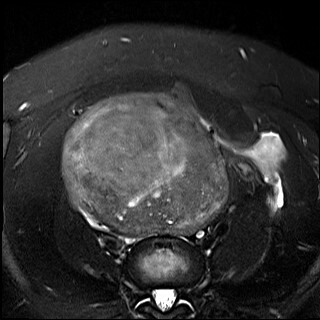 The patient made an appointment at Charter immediately for a pelvic MRI and we found she had diffuse adenomyosis, a 7cm interior leiomyoma, a right lateral adenomyoma as well as submucosal fibroids. We were able to confirm the causes of her heavy bleeding and the patient underwent a hysterectomy the following month to alleviate her symptoms, and ultimately improve the quality of her life. 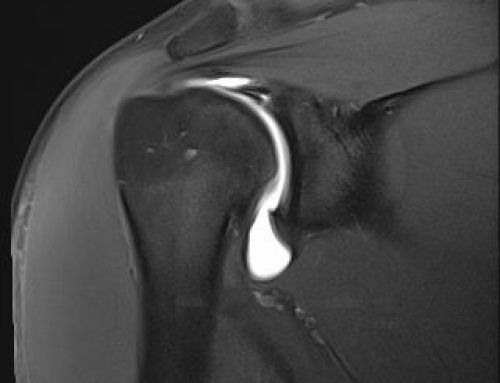 But the question remains – should this patient have had to fight so hard for an MRI? 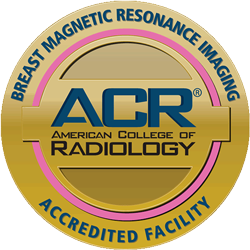 As a radiologist who specializes in women’s imaging, I travel to GYN groups throughout the region to provide important education on imaging procedures. In a case of adenomyosis, I teach physicians that this condition isn’t detectable with simple ultrasound and that MRI is an important diagnostic tool. Ultrasound is a screening modality, yes; but it should be considered a starting point and not the final destination when it comes to diagnostic imaging. Sure, ultrasound is less costly and in many cases, can be performed in a physician’s office. But if an ultrasound doesn’t show a problem, yet the patient still presents with debilitating symptoms, it’s up to us as doctors to go a step further, order that MRI and rule out all possibilities. In the fight for healthcare dollars, it’s the patient who often loses out. We in the medical community can do better by advocating for our patients so they don’t fall through the cracks.